Being a beautiful province in Cambodia, Siem Riem attracts tourists all over the world for a wide variety of tourist destinations it has to offer. Coming here, tourists have a great opportunity to learn more about the necessity to clear landmines in Cambodia. With potentially 5,000,000 remains lying in the ground, landmines have vastly influenced the amazing history and traditional culture of this cultural society. 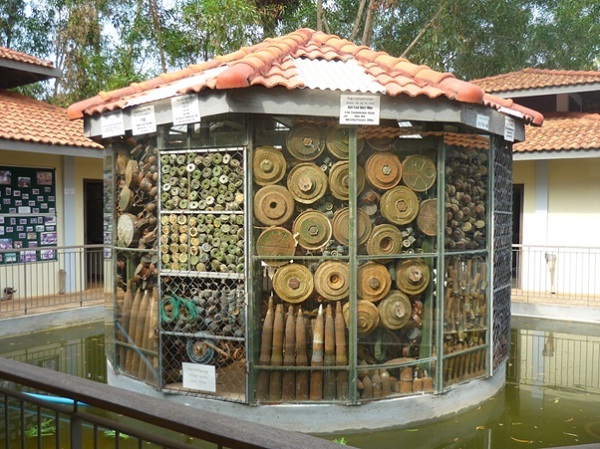 Mines, mortars, guns and weaponry are included in the collection together with a mock minefield where tourists can try to locate the deactivated mines. Looming widely along the long road to Angkor, the Angkor National Museum is a modern showpiece on the Khmer civilization and the state of Angkor. Themed by era, religion and royalty, visiting these displays here makes visitors feel like passing through the impressive galleries. Owning fine collection of stunning images at pre-Angkorian periods of Funan and Chenla; the great Khmer kings; Angkor Wat; Angkor Thom together with the inscriptions, the Zen-like ‘Gallery of a Thousand Buddhas’ is a place you get into right after a short presentation. . 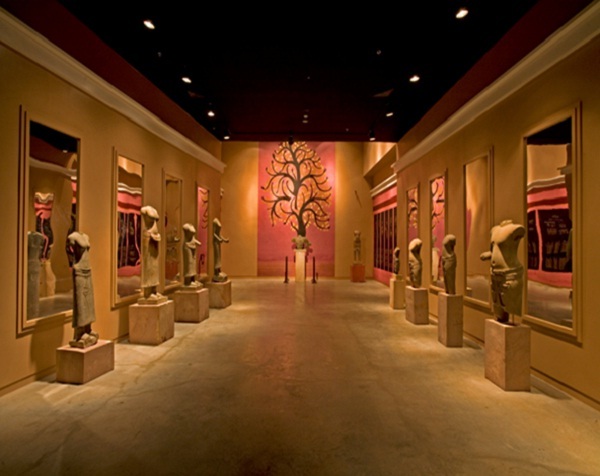 Although having less sculpture on display than the National Museum in Phnom Penh, the Angkor National Museum offers guests a chance to experience these exhibits featuring touch-screen video, epic commentary as well as a great opportunity to admire a stunning panoramic sunrise at Angkor Wat. Tucked down a side road and well signposted from Sivatha Street, Les Chantiers Écoles is a school where impoverished young Cambodians can learn how to make wood- and stone-carving, how to draw a traditional silk painting, lacquer ware as well as other artisan skills. Tourists can take advantage of free guided tours to know detail of traditional techniques available daily from 7.30am to 6.30pm. Also having a silk farm about 16km to the west of Siem Reap, just off the road to Sisophon in the village of Puok, Les Chantiers Écoles is a place which produces many of the best products throughout the country such as clothing, interior-design products together with accessories. Coming here, tourists can see all periods of the production process from the cultivation of mulberry trees to the nurturing of silk worms to the technique of silk dyeing and weaving. Visitors can enjoy free tours available daily coming with a free shuttle bus departing from Les Chantiers Écoles in Siem Reap at 9.30am and 1.30pm.